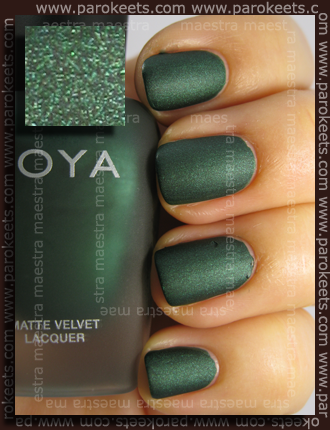 Zoya did a great job with the Matte Velvet Winter Collection. I already showed you the beautiful purple Savita. Today I have another beauty from the same collection for you. 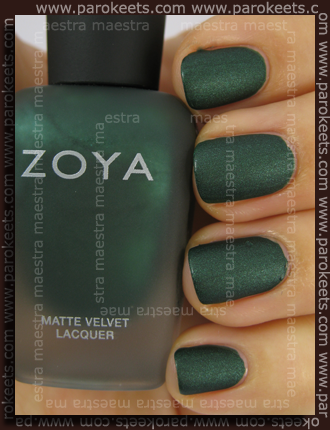 It’s a gorgeous green called Veruschka. 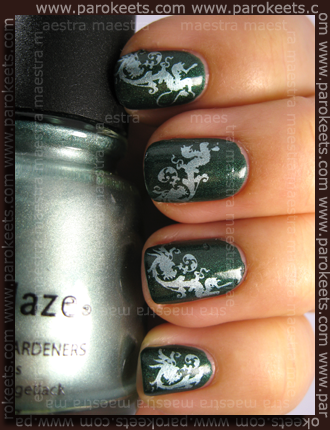 The application was good, but you should hurry a bit, when you apply mattes, because they dry very fast. The pictures show two coats of polish. That’s beautiful! I love green! Oh, Verushka, kako si lepa … <3 bloo, hvala za komentar! Veruschka je noro lepa. Čisto zares. Zadetek v polno!